Is social media marketing worth a second chance? Consider Facebook boosting. If you generate the bulk of your traffic from pay-per-click campaigns, chances are you’ve tested social media platforms in the past. If it has been a while since you last tested Facebook ads, you might be surprised at some of the changes. Facebook boosting builds more than just brand awareness. While it can be difficult to generate leads from social media, it remains a strong source of branding and traffic for many industries and major organizations. This is why many marketers still invest in social ad campaigns, and many are testing Facebook boosting. Facebook has diversified its advertising portfolio beyond just website click campaigns. You can still run a traditional click or conversion campaign and drive traffic to an affiliate link, but you can also promote your page, boost your posts, and drive traffic to your call to action directly from your Facebook page. 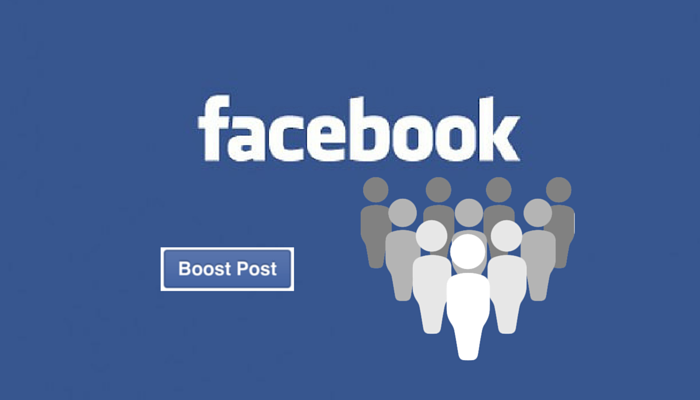 Publishers can increase their affiliate earnings by building robust Facebook profiles. While it’s difficult to gain traction organically on Facebook, a minimal budget goes a long way for traffic and engagement. Set up a page promotion campaign first to broaden your audience. Then share posts on your profile leading your captive audience back to your website. If traffic and/or engagement is low consider boosting your posts. Just $3 to $5 per post can significantly expand your reach. You can also create target audiences which you can use to optimize your efforts. Facebook also allows you to set up a call to action button on your page. You can select from phrases like “contact us” or “apply now,” and then drive traffic to your call to action, which directs visitors to your website and affiliate offers. Instead of running a traditional ad campaign on Facebook, you can now create custom audiences using your email lists. Gather the email addresses of your customers, then create a custom audience on Facebook. Once the emails are uploaded to the platform, you can remarket to these individuals. Conversion rates are much higher for repeat customers. If your affiliate marketing revenue comes from generating leads directly, you’ll have a lot more leads to sell if you incorporate Facebook lead ads. Facebook has made it easier to capture information from customers directly from the social media platform. Learn more about the advertising product here: https://www.facebook.com/business/news/lead-ads-launch. While Facebook remains a solid source of traffic for many advertisers, it’s no easy feat. Facebook offers advertisers and business owners many challenges. Users have the ability to hide posts, and Facebook won’t continue to show your posts to those who like your page if they don’t engage with your first few shares. This is also why boosting and page promotion are so vital. Facebook doesn’t offer advertiser support over the phone or via chat. Advertisers have to submit support tickets and wait to hear back from a representative most likely within 24 hours. Still, for the experienced advertiser Facebook is an important source for additional traffic and leads. It remains one of the primary ways to grow affiliate earnings. Do you advertise on Facebook? Do you rely on social media for affiliate traffic? Share your experiences in the comment section below. Always follow industry best practices and all applicable rules and regulations with your advertising and marketing materials. ArrowShade takes compliance very seriously. We are also here to help. For questions regarding compliance, please email us at compliance@arrowshade.com.